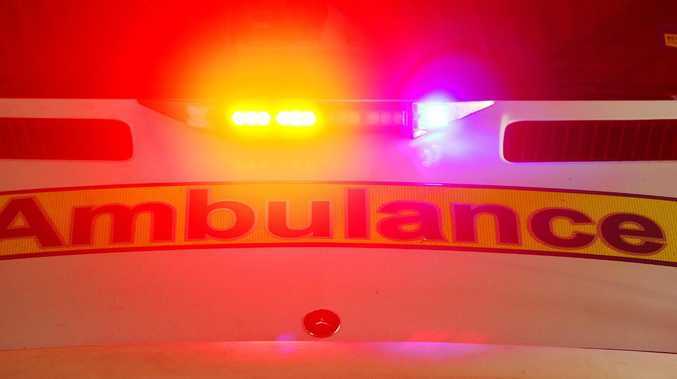 THERE are fans who purchase a hat or shirt to support their favourite team and then there are those who take their dedication to the V8 Supercars to the next level. 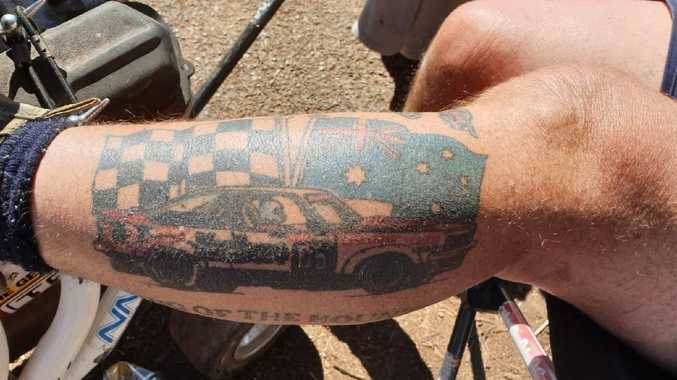 At the 58th annual Bathurst 1000, we went in search for the best tattoos celebrating Australia's greatest race and we weren't disappointed. 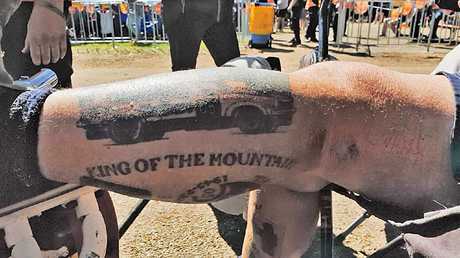 While cold conditions saw most people rugged up during the event, there were a couple of fans keen to show off their Bathurst-related ink. 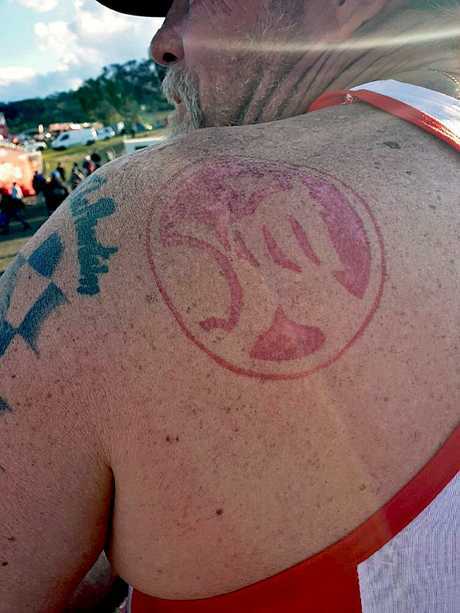 One man proudly had the Holden logo on his shoulder blade and a portrait of the late Peter Brock in front of a black chequered flag, his race number and the words: "King of the Mountain, 1945 - 2006, live your dreams". Another character based at the top of the mountain had the entire bottom half of one leg dedicated to motorsport. 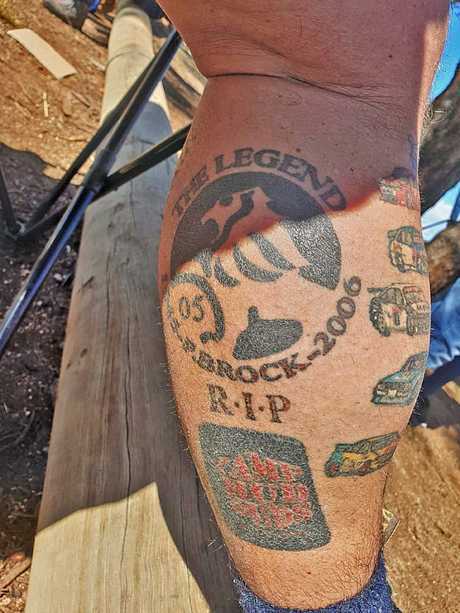 His tattoos included a Holden logo surrounded by the text: "The legend, 1945 - 2006, P Brock, R.I.P". 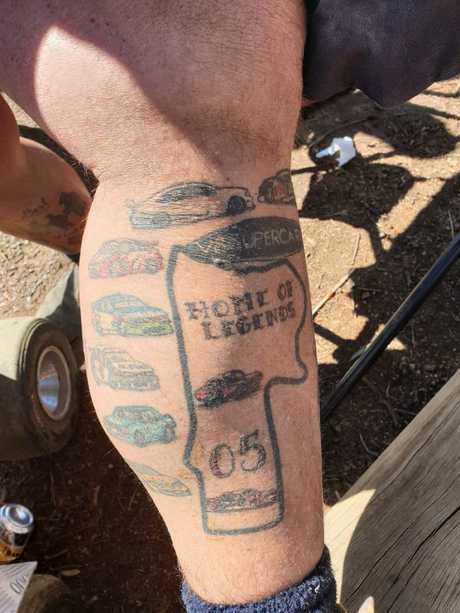 He also had a map of Bathurst surrounded by several different vehicles, the V8 Supercars logo and Peter Brock's number 5. 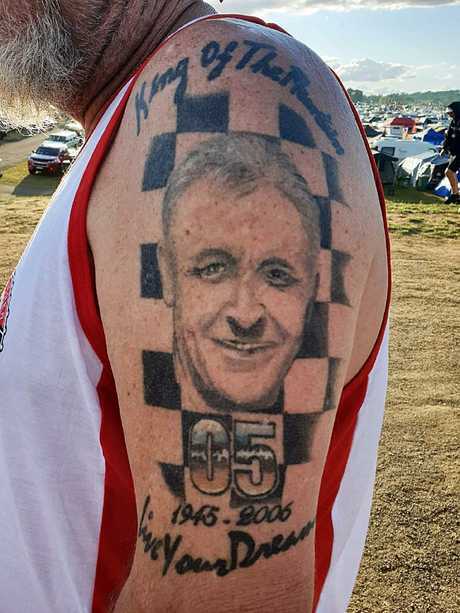 The final tattoo of his masterpiece was a picture of Peter Brock's Holden in front of a large chequered flag, a large Australian flag and the words: "King of the Mountain"